A portly pig had to be rescued by firefighters after it tumbled down an embankment. 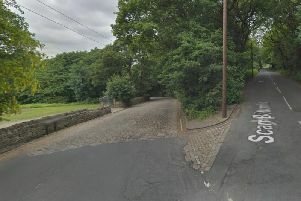 Crews were called to Saville Road in Skelmanthorpe at around 4.25pm on Monday after reports of the animal, named Savvi, being trapped. The specialist firefighters were deployed from Cleckheaton Fire Station to help rescue the 15-stone pig. The owner was also at the scene and helped lure the animal out of danger. A West Yorkshire Fire and Rescue Service spokesperson said: “Specialist rescue crews utilised the surrounding environment and technical knowledge to create a ramp like structure and the owner lured the pig back out of the gully safely.